Wow! Tomorrow is the last day of April meaning May is just around the corner. For me, that means roughly thirty-five days to go before I set sail on my round-the-world adventure. I have finished my running list and the first major task complete: fly my cooking books and few sentimental goods like my tortilla press back to my hometown, Sydney. My remaining possessions fit into one medium-sized travel bag so that’s all I have to lug around for thirty-two days between nine or so cities. Another item on my to do list is cleaning out my pantry. Whilst not the highest of priority, it’s still something that will need attention over the coming weeks. I’ve hoarded so many ingredients which I’d hope to experiment with or learn about, and others quite frankly I just bought too much of. So what have I found deep in the abyss of my pantry? Polenta, semolina, agar, fungi, cracked wheat, vegetarian mushroom fluff, barley, several cans of coconut milk, hemp seeds and smoke dried chillies. Somehow, some way I will need to use up all these ingredients as I simply can’t throw food away. Any ideas? Tonight to combat what seems like the start of an irritating cough and scratchy throat, I decided to go for my usual home soup remedy. 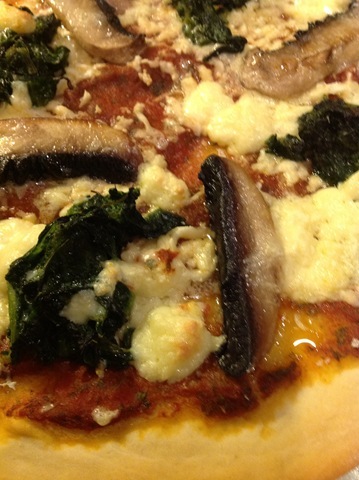 No it’s not nice, not very tasty nor is the recipe worth sharing and it’s super hot. It’s a concoction of ginger, garlic, fresh chillies, an entire bag of black fungi (one item down) and a few vegetables. After I’d finished scraping all the bugs off my throat with hot soup, I needed something sweet to soothe it. Honey was a must but I felt like I needed more ingredients with sustenance to maximise my chance of fighting off any remaining bugs. To a teaspoon of Manuka honey I added 1 Tbs Tahini, 1 Tbs hemp seeds, 1 Tbs pumpkin seed protein powder, 1 tsp coconut oil and 1 tsp sesame seeds. That’s it! Oh and a squeeze of lemon. 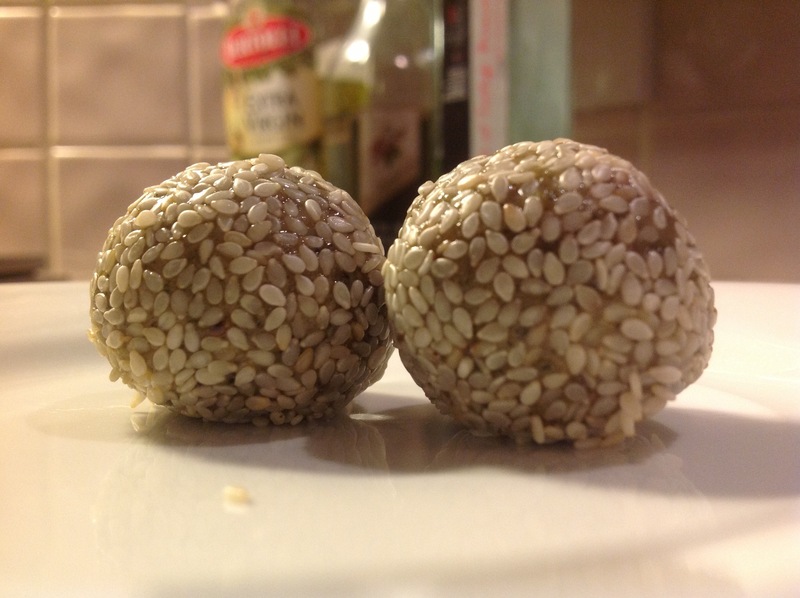 Mix it up in a bowl, roll into a ball then coat with more sesame seeds. That was enough to make two bliss balls. How were they? Blissful! Don’t believe me? Make them. If you don’t have pumpkin seed protein, use cacao perhaps. If they turn out too soft, put them in the fridge for a little while or add more cacao. Other variations? Sure, just use your creativity. Next time I’ll be adding crushed pistachios or walnuts. I know, I know, it’s been a long time since I last blogged. I hope that this post can make up for any feelings of abandonment that you may have experienced during my absence in March. Unfortunately I have had some of life’s other challenges to deal with as we all do from time to time. Quite frankly, they’ve consumed all of my energy so I just have not been inspired to cook or blog. So how have I nourished myself? Well certainly not with fast food or frozen dinners. I’ve eaten predominantly raw food. Why? No peeling, no cutting, no dish-washing and no mess. Just wash and eat. I’ve eaten my way through about 15-20kgs of fruit and vegetables per week. But not all of it was raw. On the adventurous nights, I went all out: I roasted vegetables simply with salt, pepper and a drizzle of olive oil. Has there been anything positive from all of this? Yes, I caught a glimpse of my abs for the first time in years! Let’s see how long I can keep them as my appetite for low-n-slow ribs, marbled steaks and patés is starting to grow. Whilst the healing continues, I’ve managed to find enough motivation to work on one from the photo archive. Hopefully by going back to the glorious happy-in-the-kitchen days, I’ll be able to find my cooking mojo. I need to find it now as I have a Lebanese feast to prepare this weekend! Please read on, it does get better, I promise. 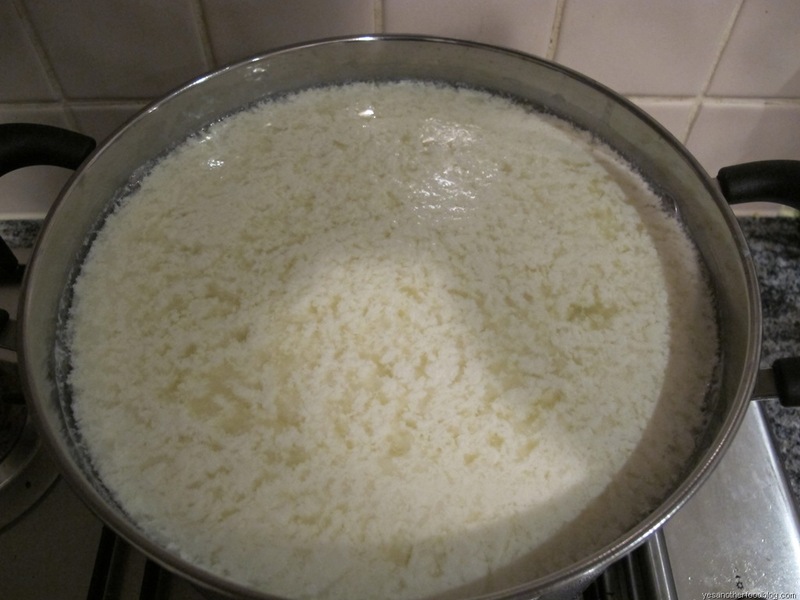 I have always wanted to make cheese but had thought that it was too complicated and time-consuming. Earlier this year in January, I decided to order the kit online. 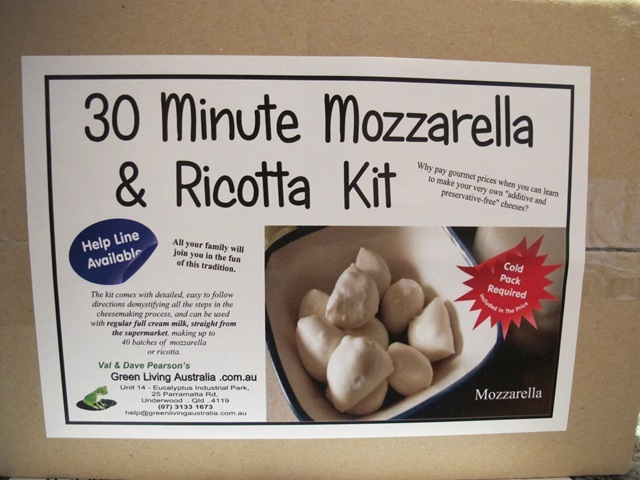 It came with everything needed to make Mozzarella in 30 minutes. Yes 30! My first trial took an hour because I had to fumble between the instructions, thermometer and precise measurement of each ingredient. Actually it was a disaster (see tips below). The second took 45 minutes and the third about 35 minutes. 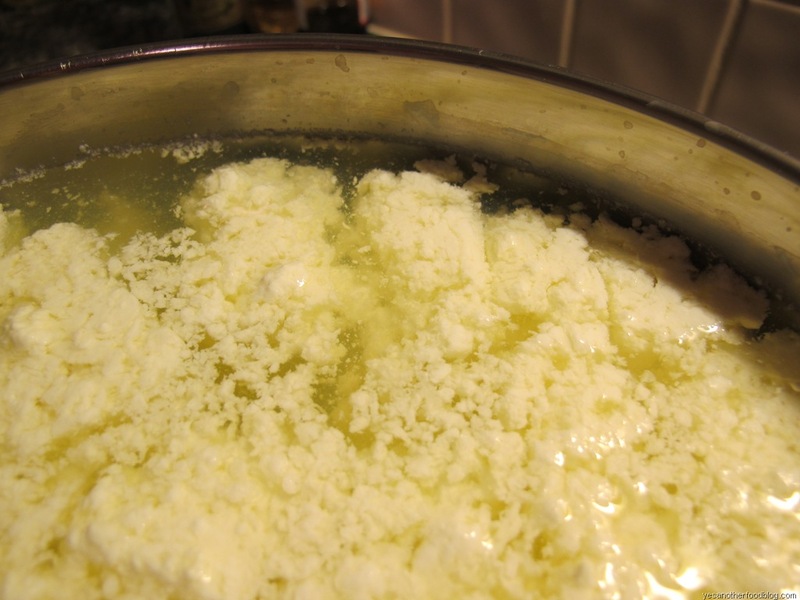 What is Mozzarella made from? 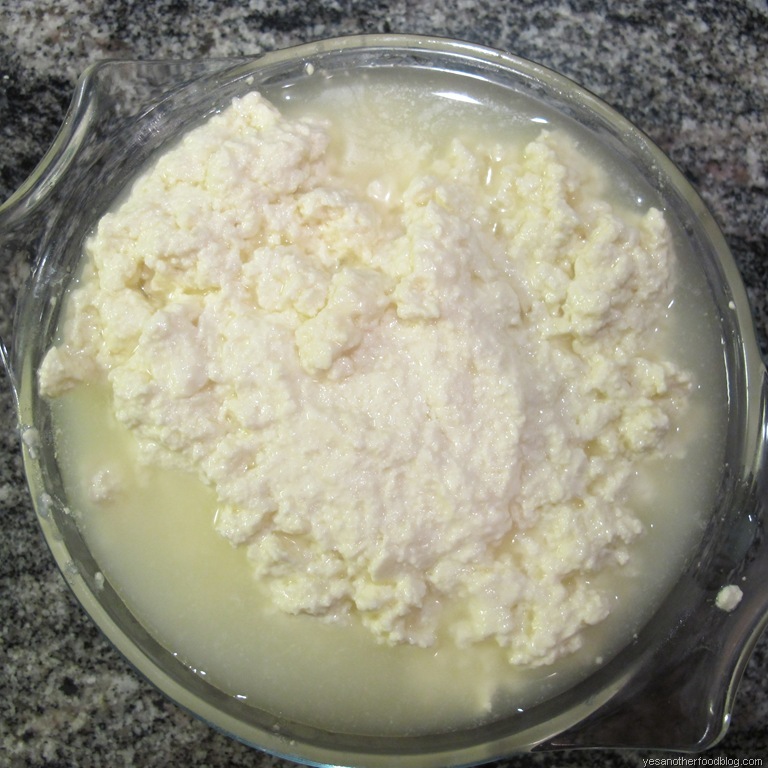 Milk, rennet, calcium chloride, lipase, citric acid, patience and strong hands to knead hot curds. 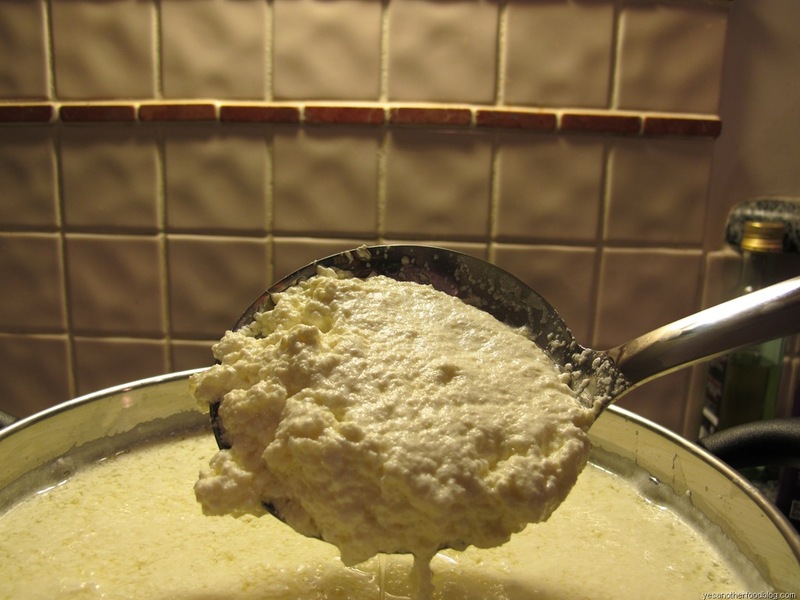 The science behind cheese making is simple: coagulate the milk solids to separate them from the whey. 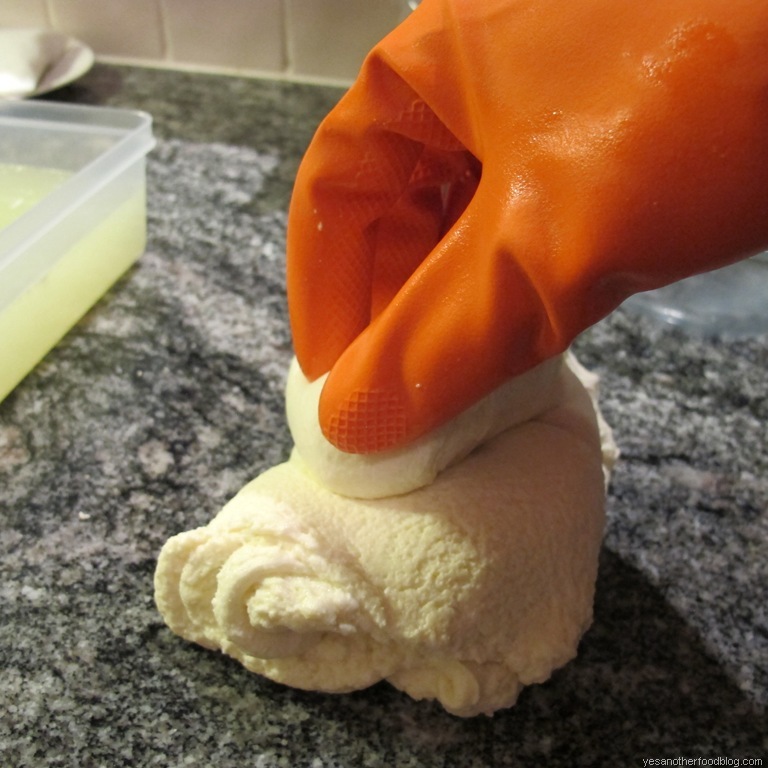 Think about how many varieties of cheese are made using that simple process! Perhaps thousands. Was it worth all the effort? Yes. 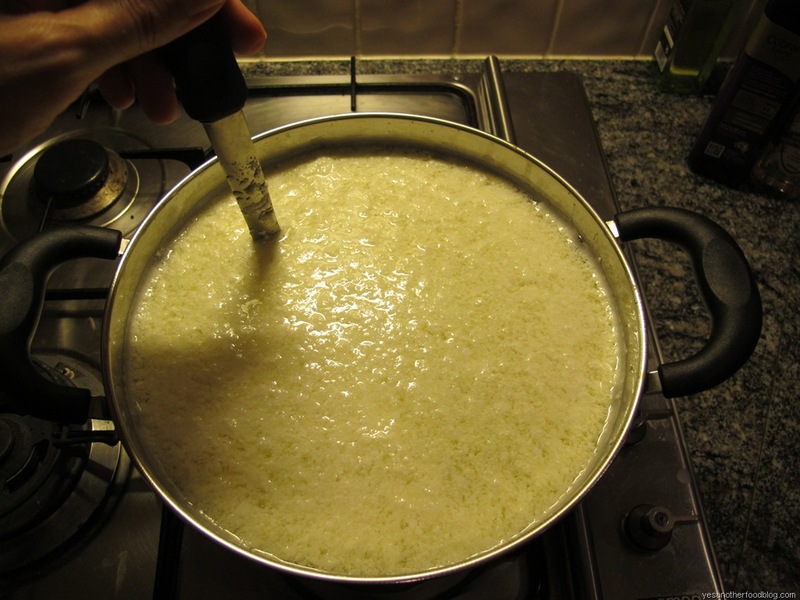 It melts beautifully and tastes creamier than the rubbery and tasteless one that you get in the supermarket. Before I get into the step-by-step instructions, I wanted to share with you some of the tips that I have learnt so far. In my mind, they are far more important than measuring everything precisely. Buy the freshest milk that you can find. 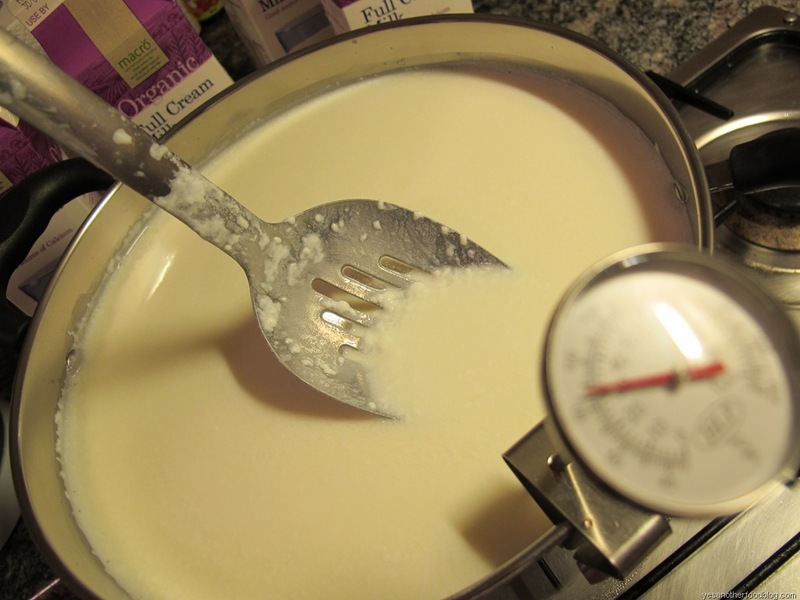 Make sure its full cream, permeate-free and not ultra-pasteurized. 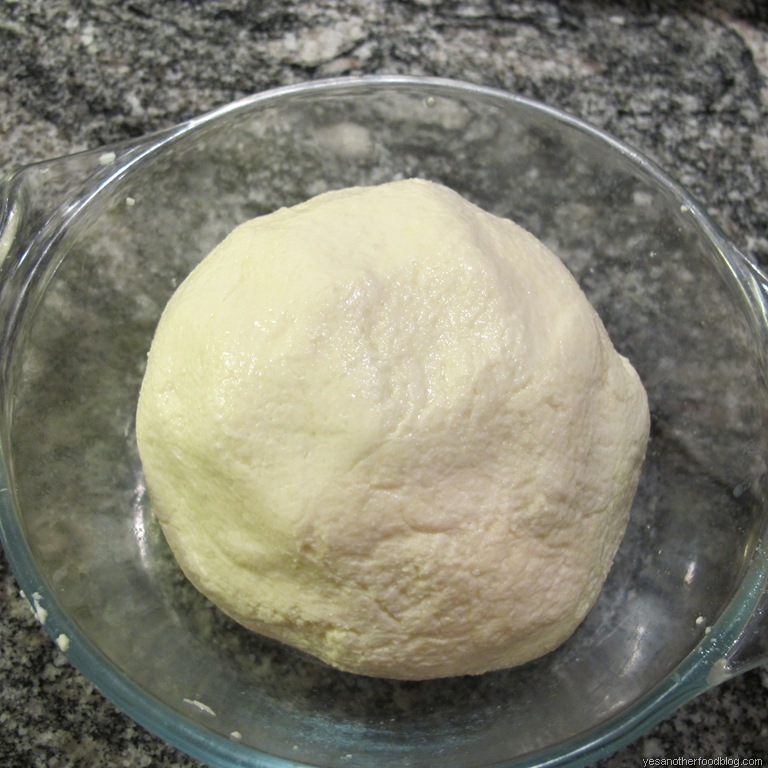 The first time I attempted to make Mozzarella, I bought organic milk thinking that it would be creamier and tastier. I failed to read the label. But I’m only human and who would have thought that organic milk would be ultra-pasteurized and result in very few curds? 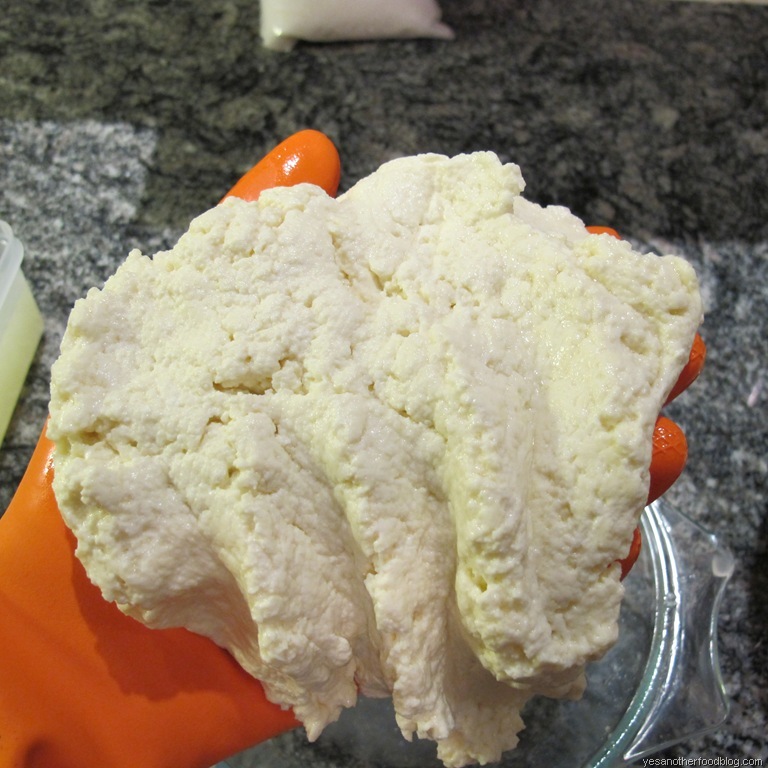 Another nasty anti-curdforming ingredient is permeate. 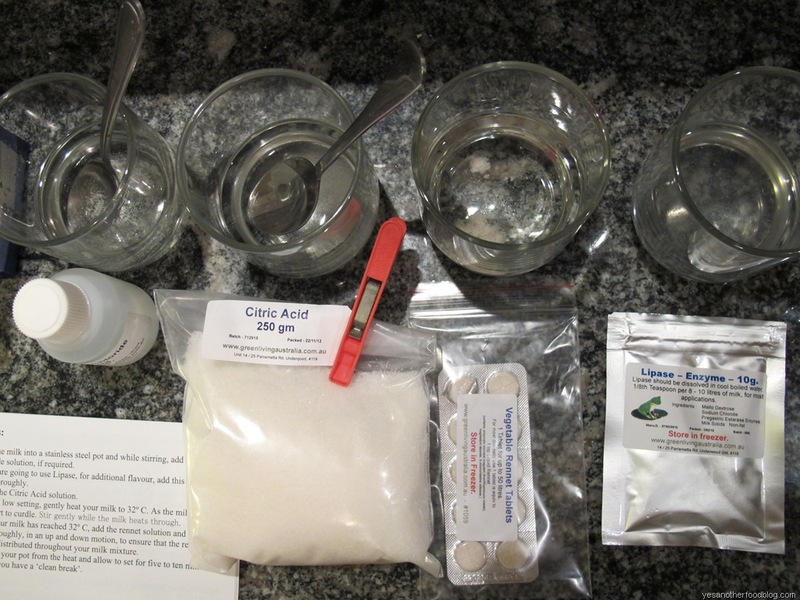 What is permeate? 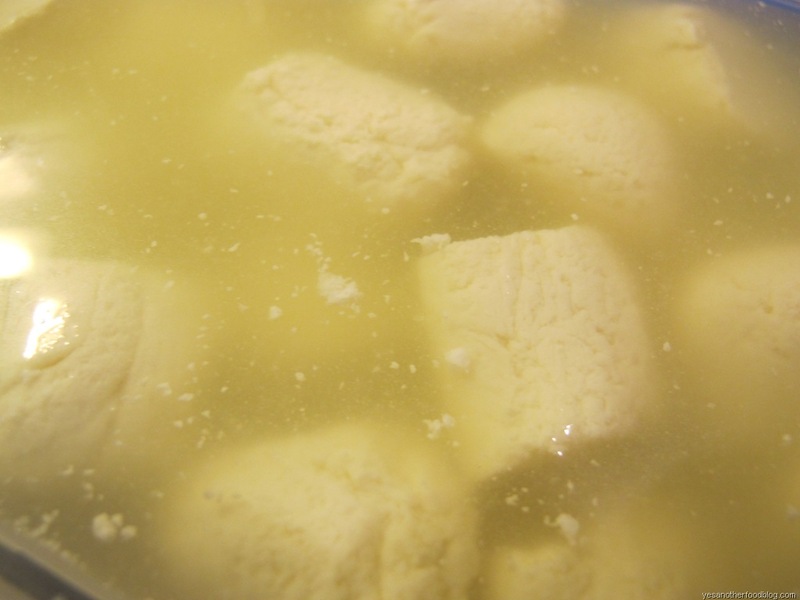 Permeate is essentially whey, a by-product from the cheese making process sometimes mixed with fresh milk to “bulk it up”. 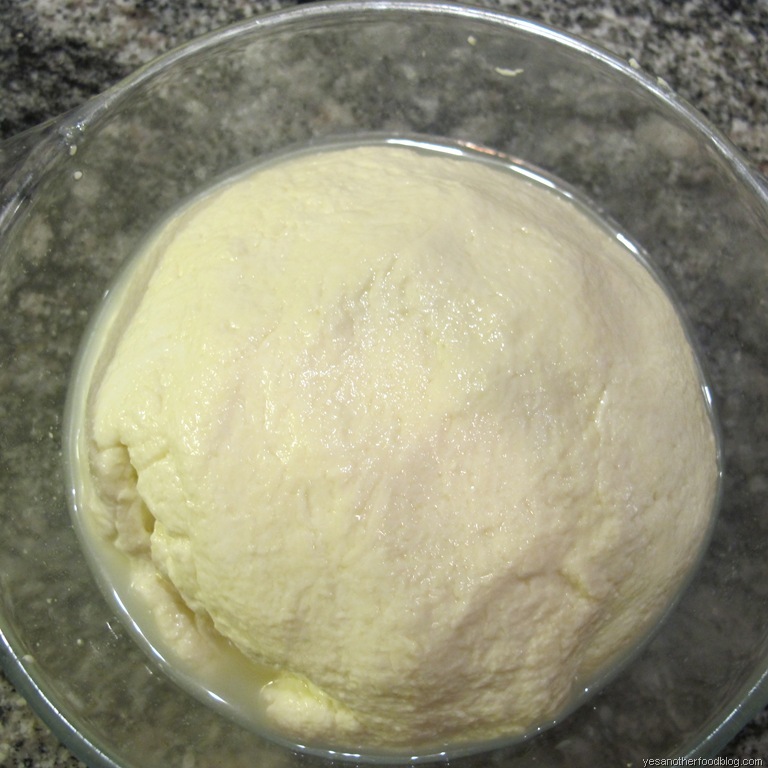 Four liters of milk yields about 400g of Mozzarella. If you have a large pot, use it. It’s the same effort whether its four liters or ten. Lay out all your ingredients in order of use. 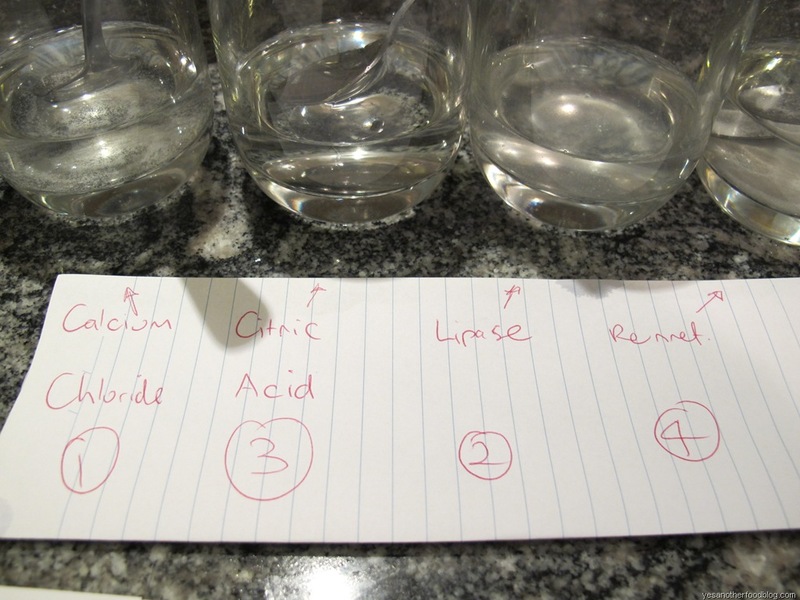 Label each of the dissolved ingredients as they all look the same once mixed with water. 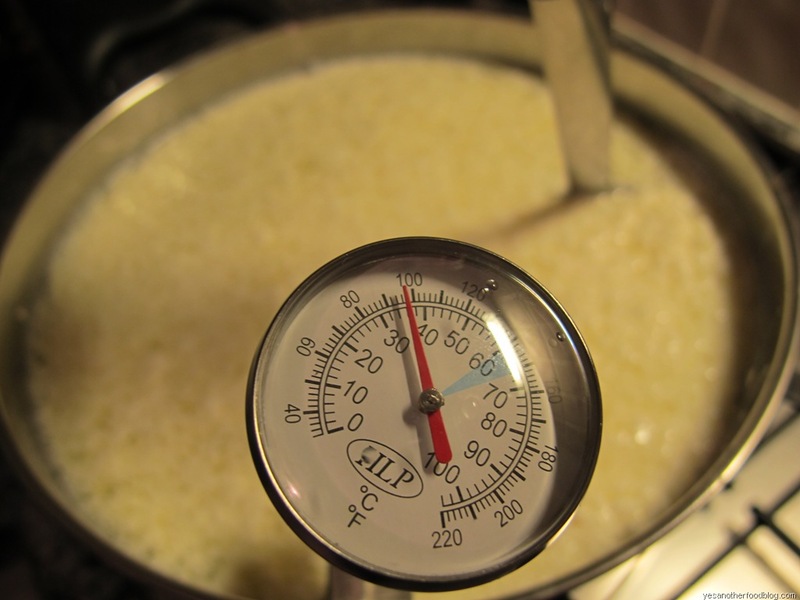 Do not get over sensitive about heating the milk to the exact temperature or stirring the milk constantly. Also the kit comes with lipase (most do) and it’s supposed to make the cheese taste better. However, I didn’t detect any difference so have stopped adding it. Follow the instructions and be patient. 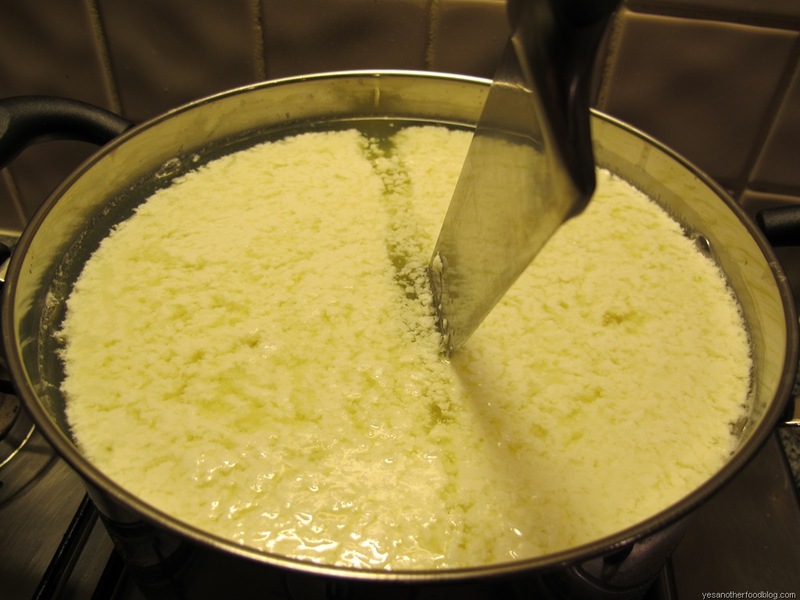 Okay, it’s fun watching the curds form the first time around but there’s no need to stand over the pot. 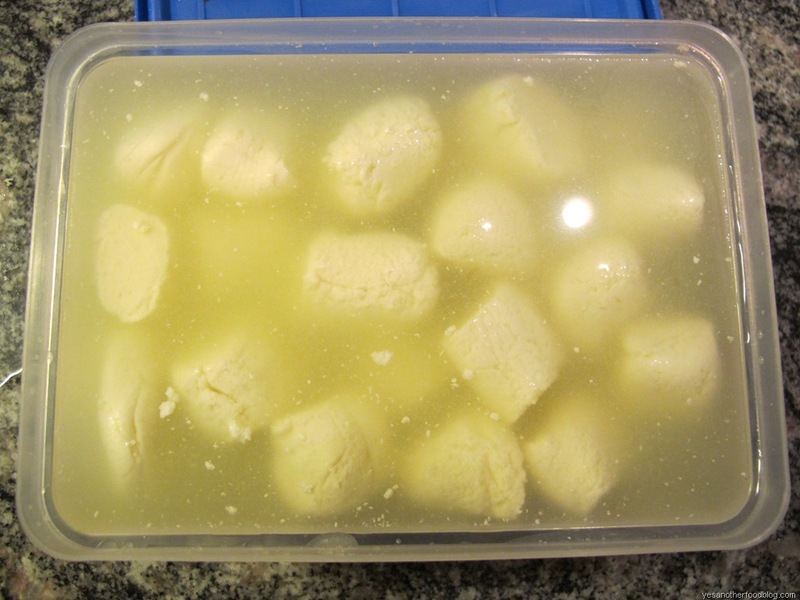 Cut the curds but don’t get hung up if they’re not perfect cubes. Eventually you’ll squeeze them together during the kneading process. 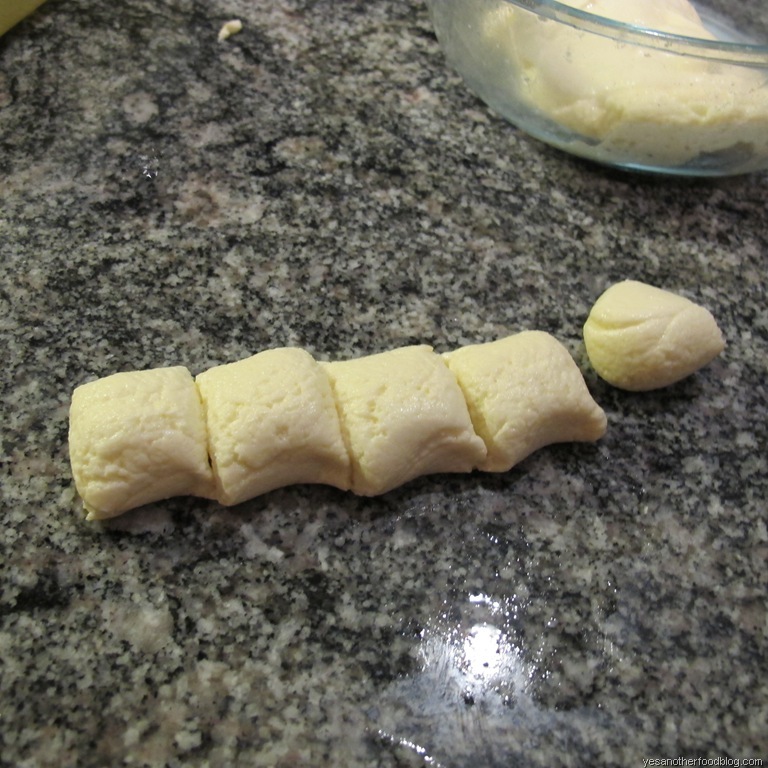 To make Bocconcini, roll out with both hands into a long uniform sausage like when making Gnocchi. 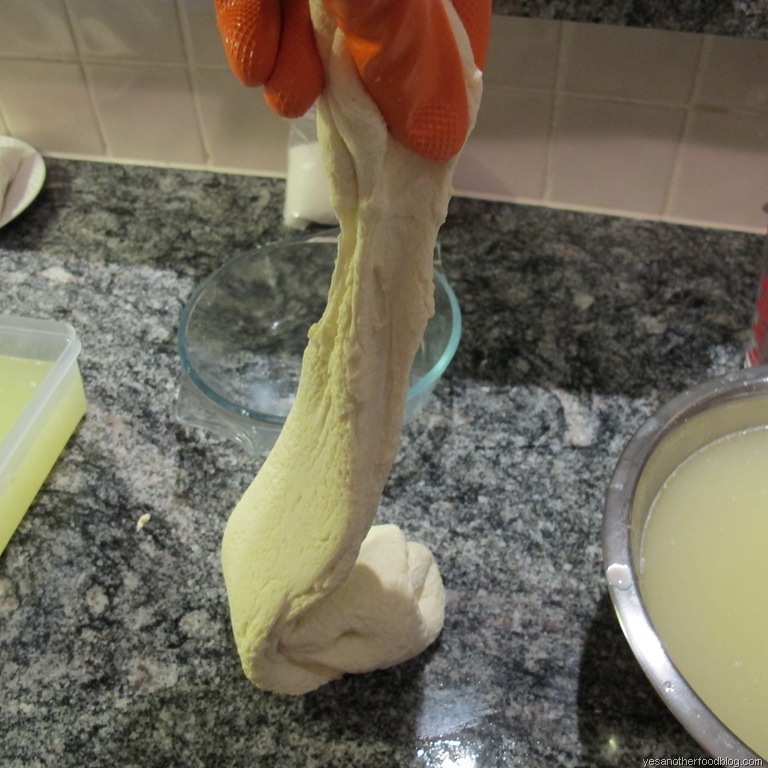 Then cut with a sharp knife and roll each individual piece before dropping them into the whey. 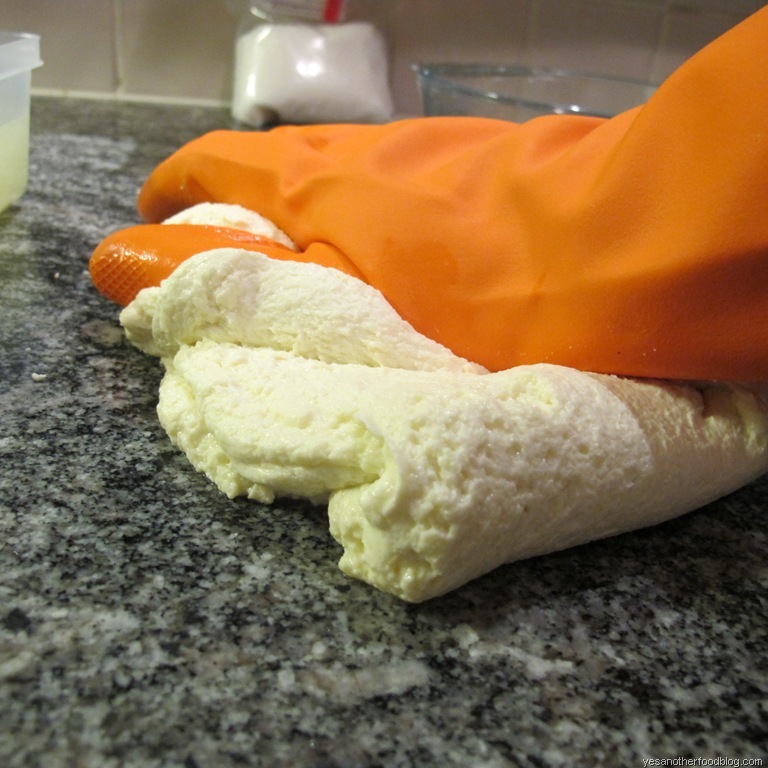 Don’t use a cheese cloth. 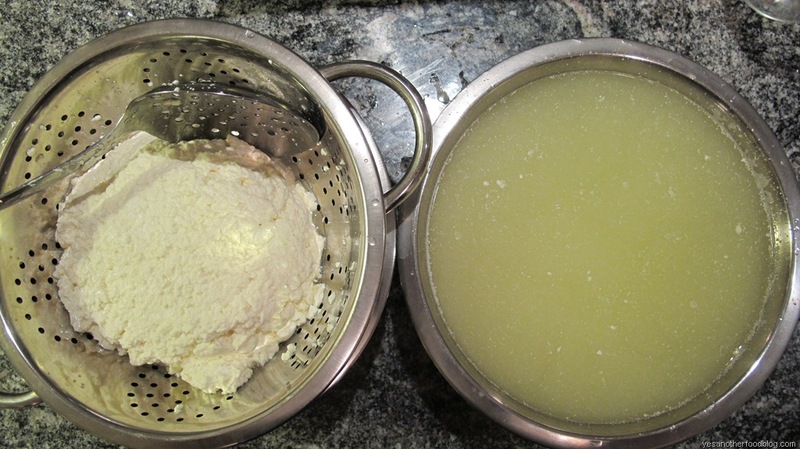 Use a colander to save washing the cloth as it’s difficult to remove all curds. Just scroll over each photo with your cursor to view a description of each step. And yes I think I can feel a spark. Perhaps I’ve found my cooking mojo!